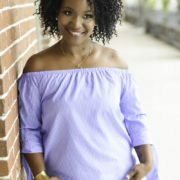 Today, I’m introducing the first in a series of posts that will chronicle the top 10 personal style staples according to … well … me! 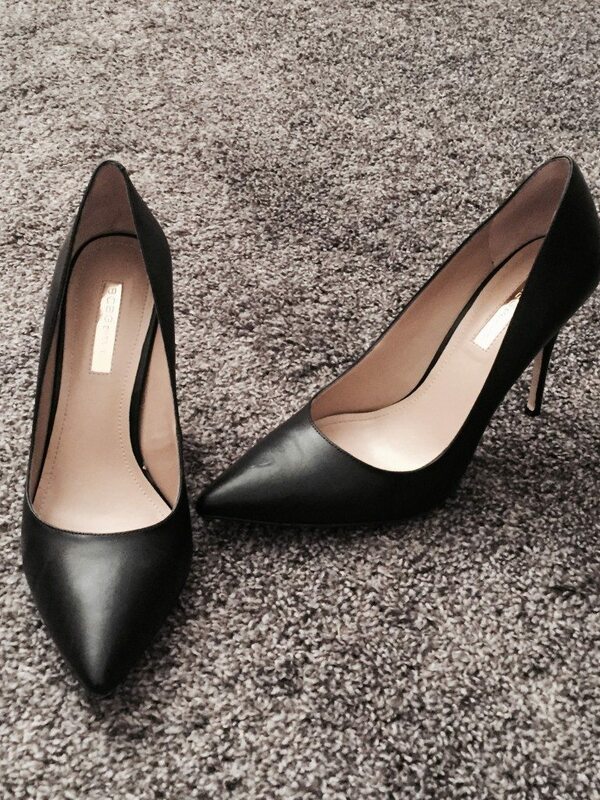 And, I’m kicking things off with one of my absolute faves; the basic(ally bangin’) black pump. When it comes to versatility, polish and sass, it doesn’t get any better than this. I mean we’re talking fashion’s holy grail here, people! Want to make a pair of ripped boyfriend jeans look runway ready? 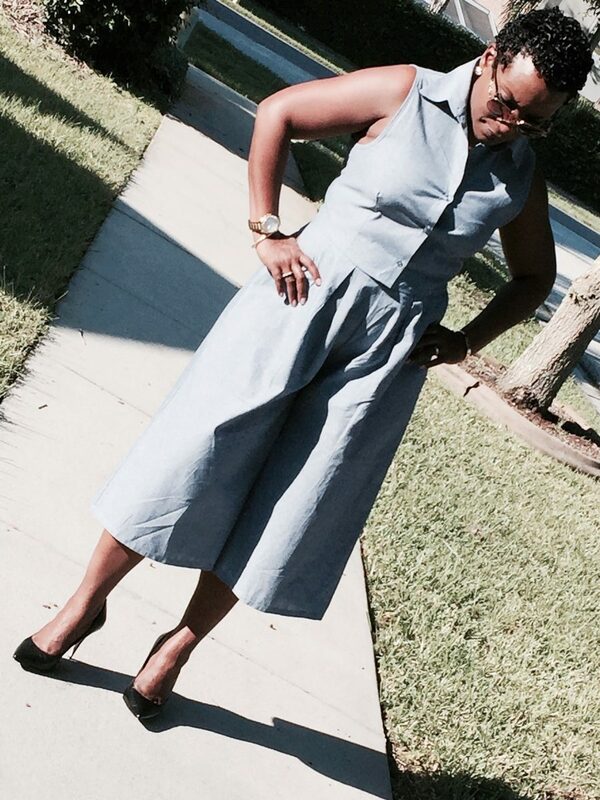 What if you’d like to take a pair of culottes like these I’m wearing from casual to classy? Or, maybe you want to feel like a million bucks in your favorite thrift store find? Then, trust me, you need these shoes in your life! They’re the one fashion staple that can transform your look from frumpy to fabulous in roughly 2.5 seconds (or the guesstimated amount of time it takes to slip a pair of these bad boys on). So, what do you think? 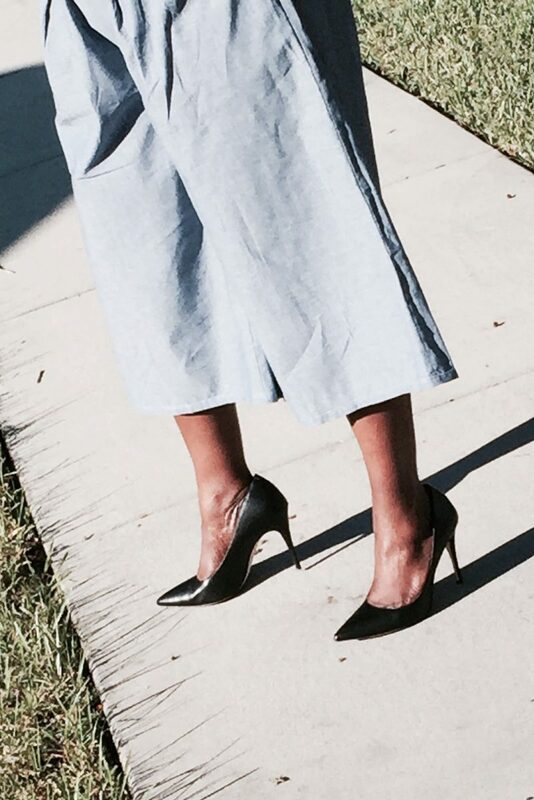 Do you agree that these black pumps are anything but basic? Tell me about it in the comments below. A must have accessory!!! Love your style. Stunning and beautiful shoes. I am dying. I want them. 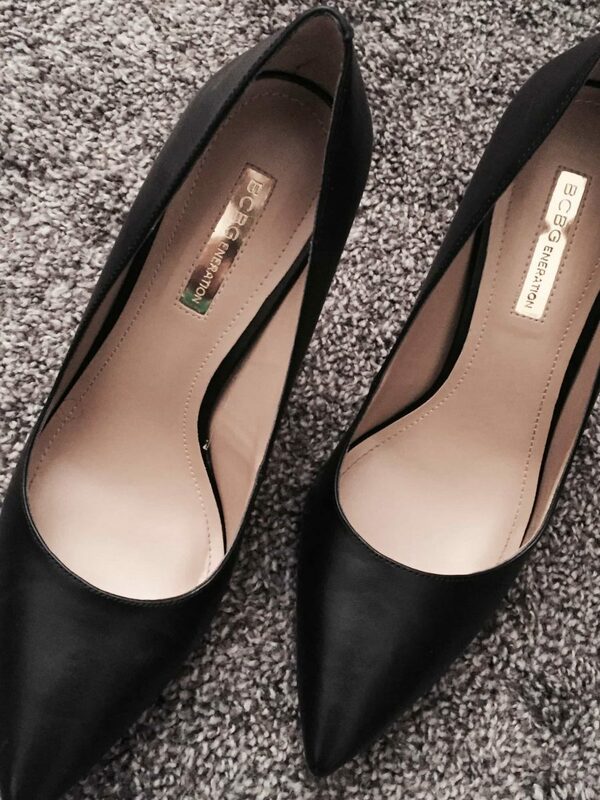 You can never go wrong with black pumps!! 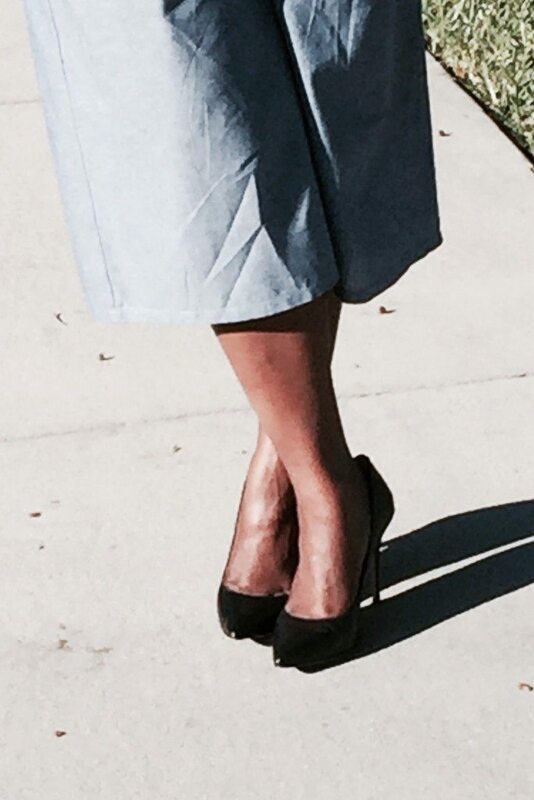 While pumps are not my fav’s I do agree that a black pump is the little black dress of the shoe world! Beautiful shoes! I used to have a nice collection of elegant hills back in my 20s. Now I have to stick with lower hills or flats. Flats can be just as elegant. They are gorgeous. I wish I could wear them but alas, no more. My high heel days are over!